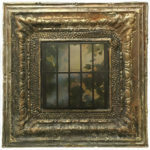 This body of work began several years ago with photographs taken through the windows of the Wells College dining hall. 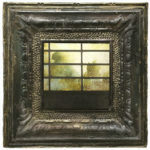 Their elegant leaded glass panes were covered with ivy and backlit by sunshine. 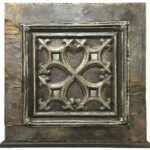 Printed onto aluminum, components of the images were affixed to vintage tin ceiling tiles or metallic surfaces to enhance their reflectivity. 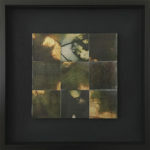 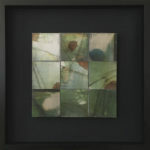 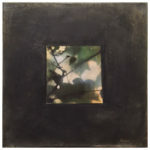 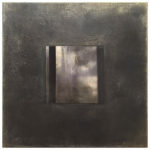 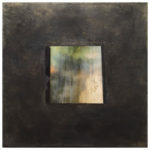 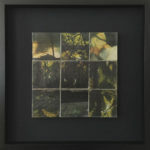 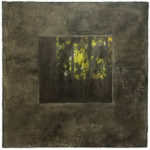 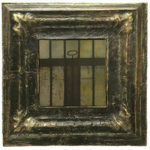 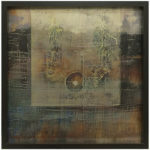 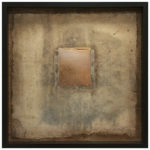 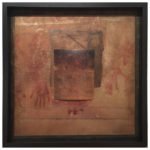 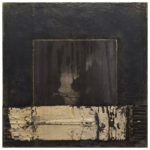 The series title, “Reflections”, also references our separation from nature and the memory of times past. 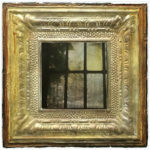 “Reflections” has been shown at Landing Gallery in Rockland, Maine and The Art Complex Museum in Duxbury, Massachusetts.